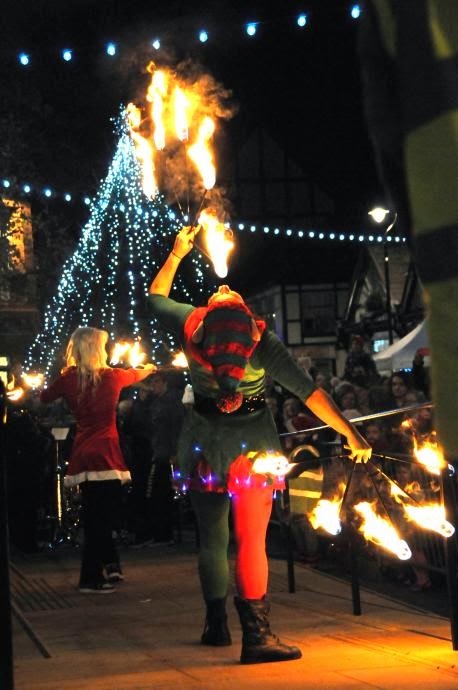 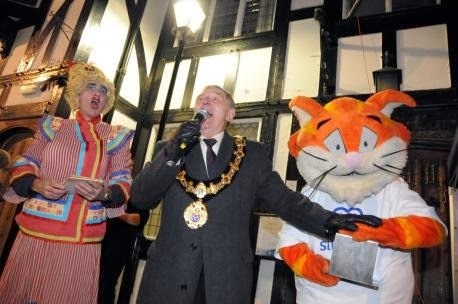 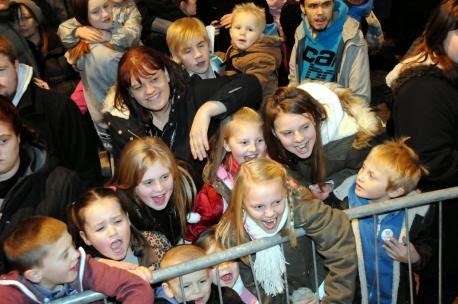 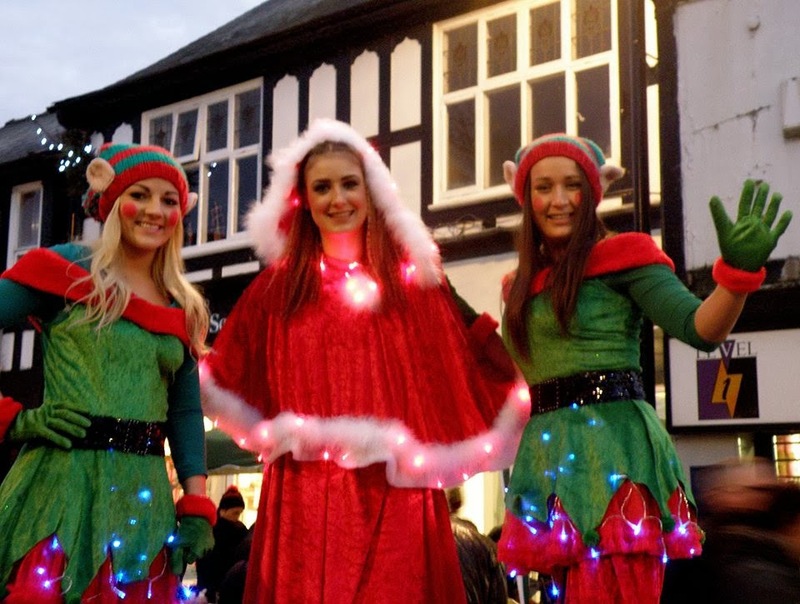 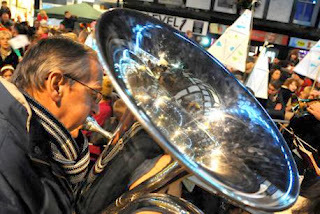 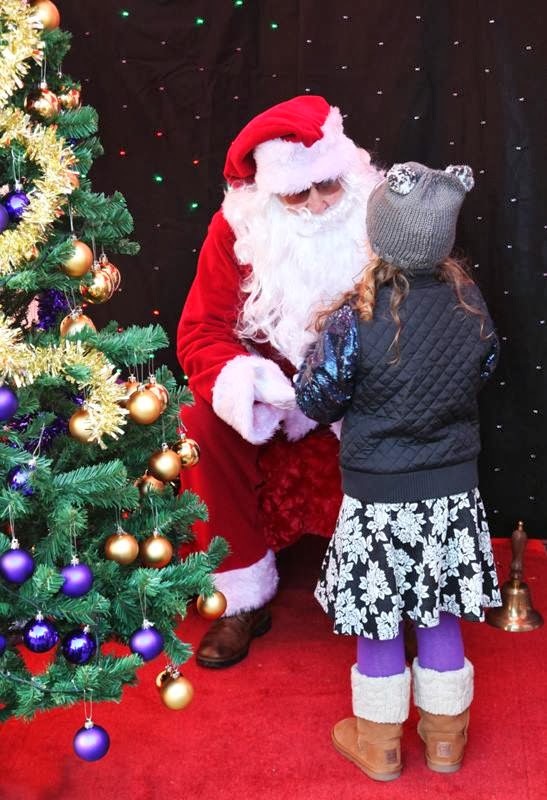 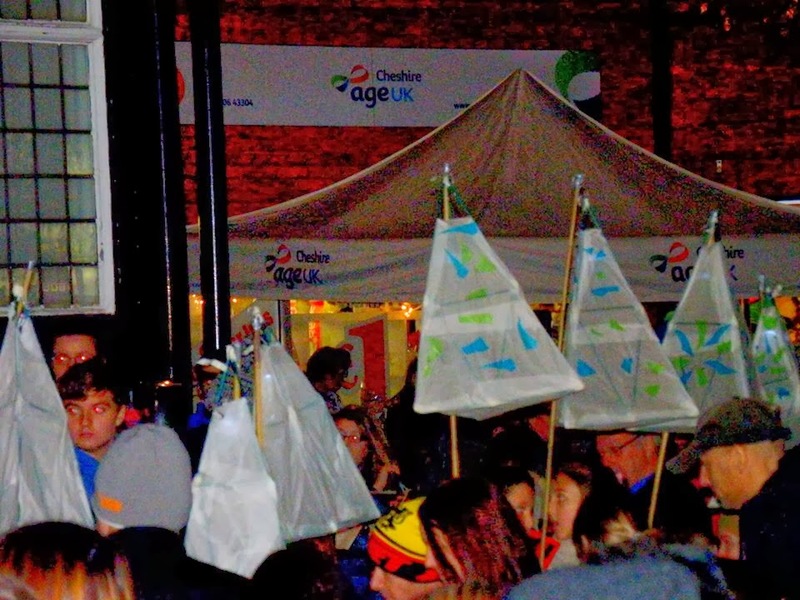 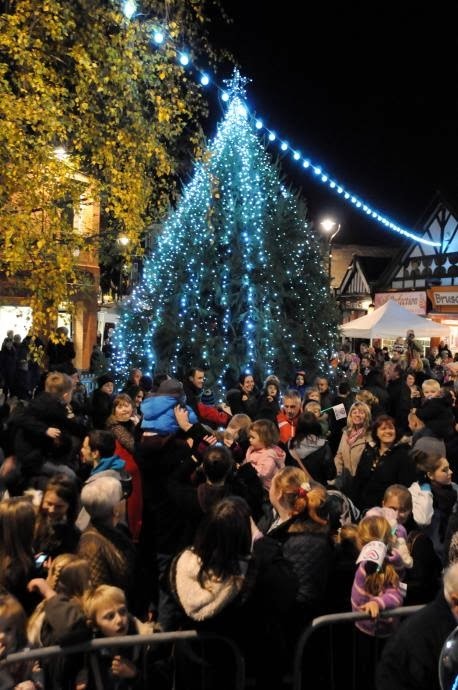 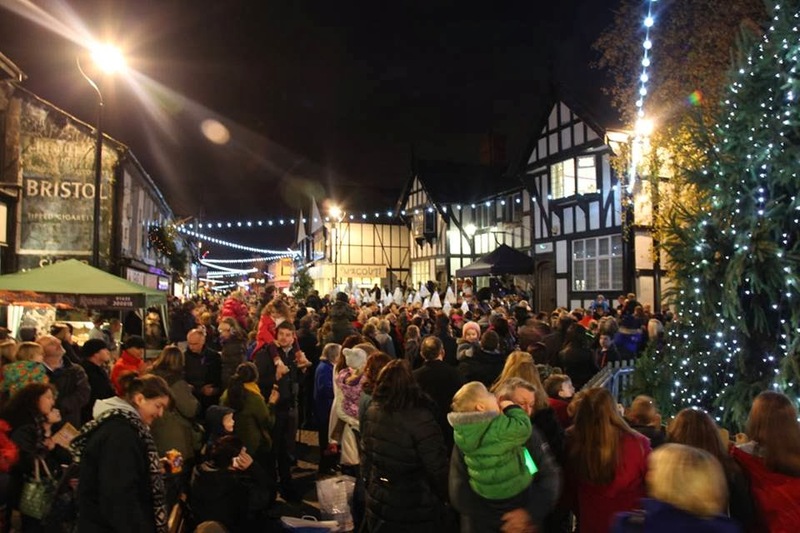 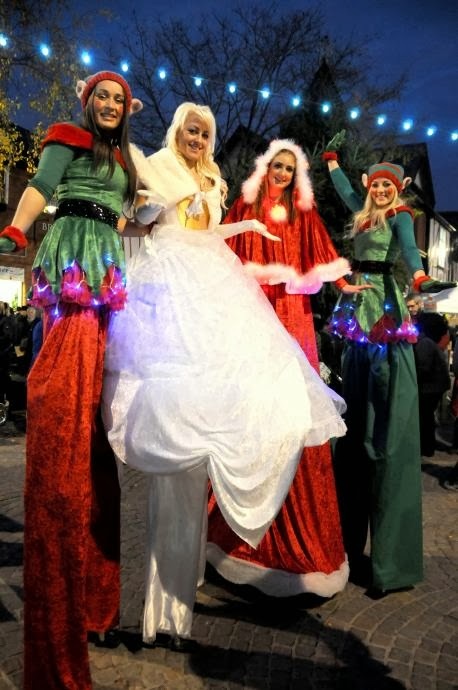 Hundreds of families tuned up to celebrate the switching on of the Christmas Lights in Northwich on Saturday 30 November. 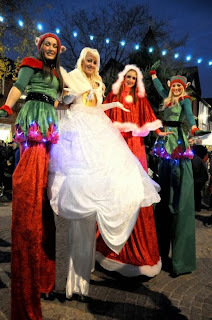 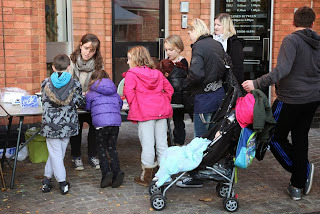 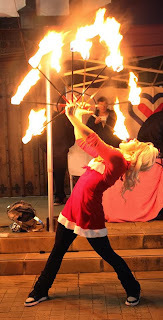 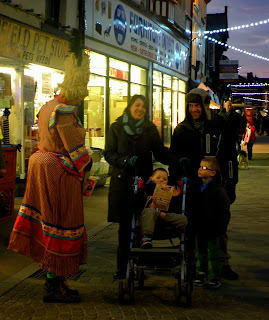 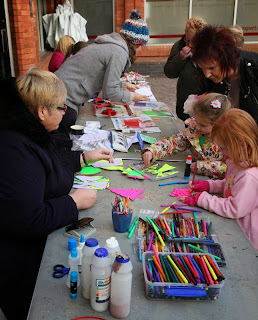 Activities ran all afternoon, with music on the library steps, children's workshops, Father Christmas, stilt walkers and fire jugglers, pantomime dame, hot food and drinks and a lantern parade. 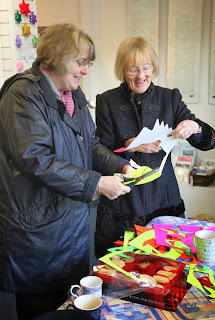 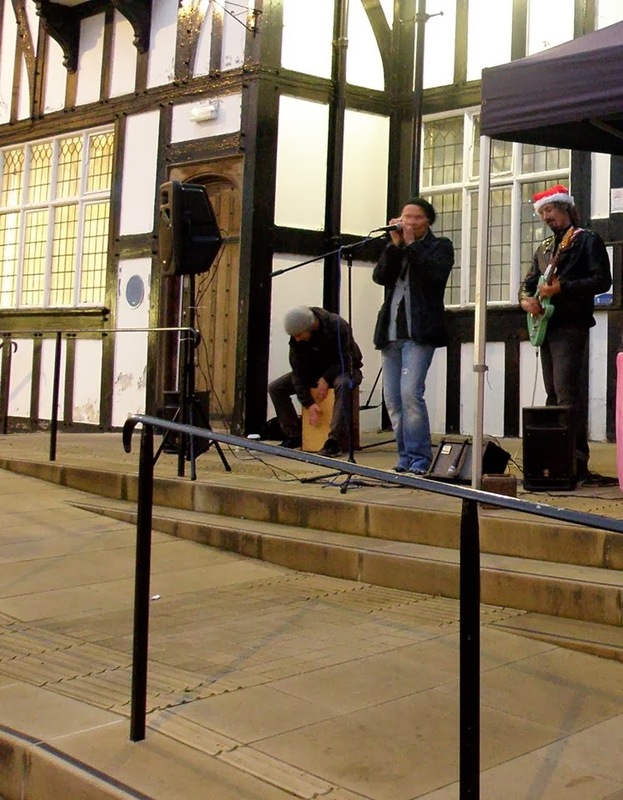 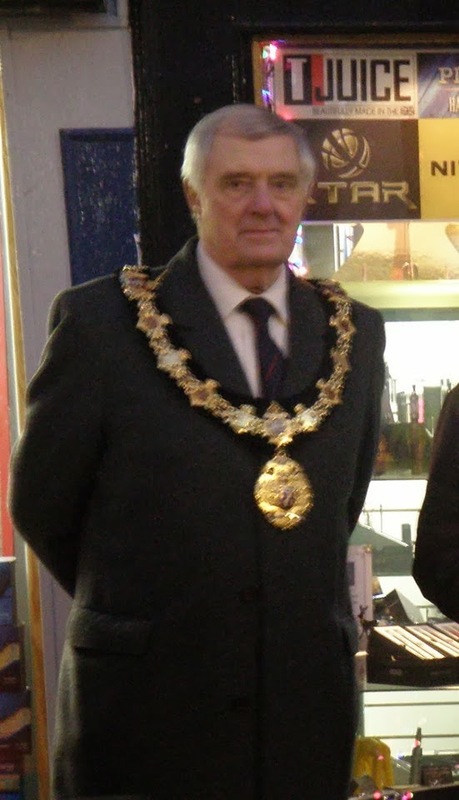 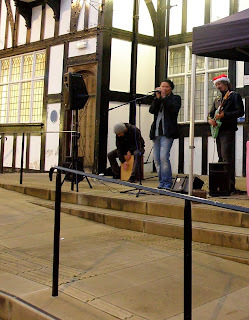 Many thanks to everyone involved, including DAN, CWAC and Northwich Town Council, Silk FM, Tom Stockdale Band, Anthony West, Beaver, Northwich Christmas Band, Iona, Sheila and Carol, the VAC Gallery team, Aladdin Panto at the Grange, Northwich Rotary and all the local businesses who supported the event. 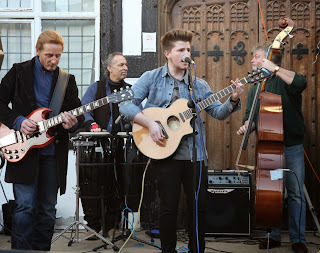 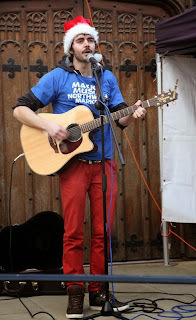 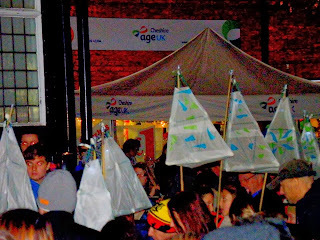 Photographs courtesy of Alan Carr, Louise Sherratt and Northwich Guardian. 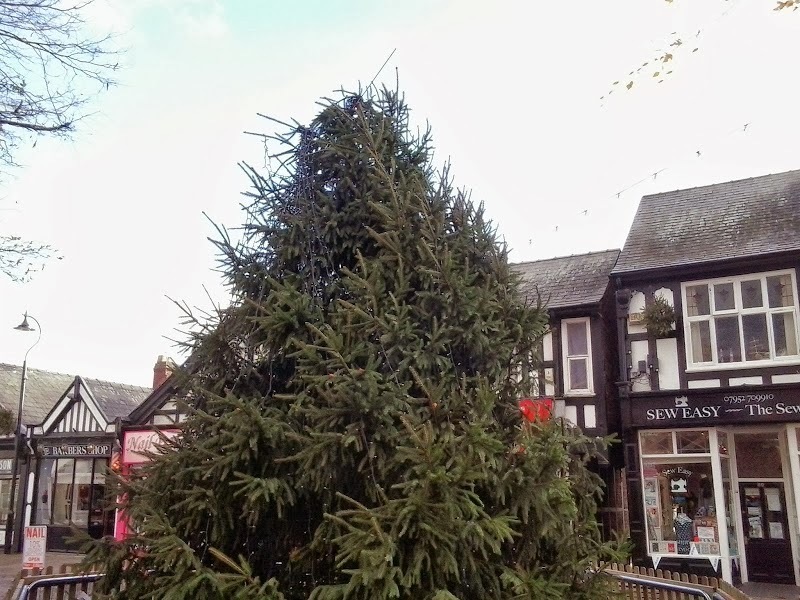 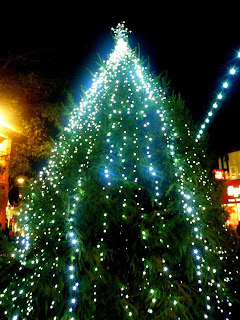 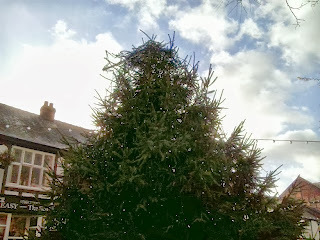 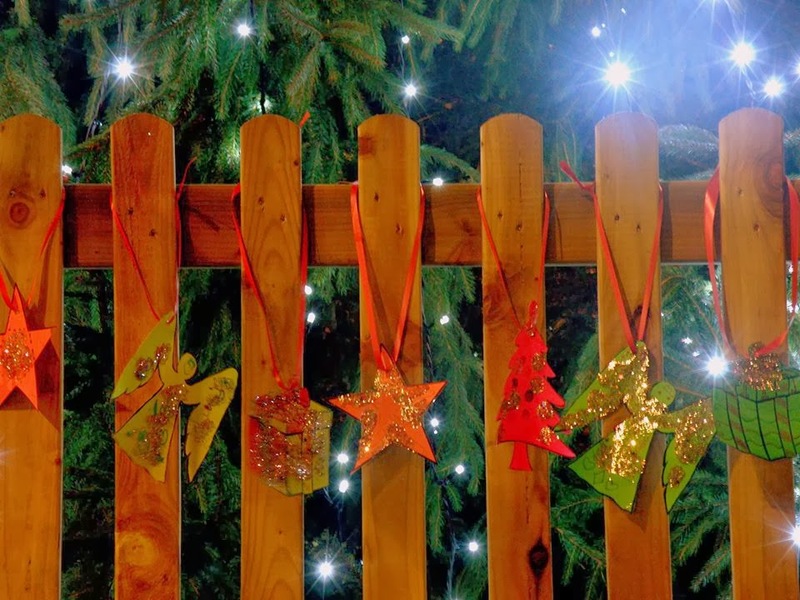 Update: Thursday 5 December - high winds break the Christmas Star, but soon fixed by Town Council.